the quilt shoppe has the sponsor giveaway slot this month. lani is the woman behind the quilt shoppe name. and she's been my longest sponsor. thank you lani for your sponsorship and not only that but the friendship that has evolved because of it. ;) she's good people and i'm super lucky to have her as a sponsor, but even luckier to call her a friend! I want to win those! Can't wait to see Rural Jardin in the stores! I love Rouenneries and I'm sure I'll love Rural Jardin too. I would buy the Wild Thyme Vines, it would go perfectly with my bedroom re-do! Ok, I signed up to be a follower...but I have been a long-time subscriber so I don't miss a thing. Gee, it's still Sunday where I live, but I'm signing on for the giveaway. I'm totally a follower now too. Doesn't matter that I've checked your blog like 2x a day most of the time for like the last year. Now I'm officially following. If I won the $25 I would get some Blush from Basic Grey. What an awesome fabric line....too pretty. Love all the inspiration I get from your blog! If I had 25 dollars I definitely get some material from the Blush collection! I love your blog and I think I love this fabric almost as much!! I am a follower--bordering on obsessed, you know! Please don't make me pick!!! I would definitely have to get some Dadelions on Butter fabric and I also love the Snippets honeybun. I blogged about this (http://shewearsflowers.blogspot.com/2010/03/fabric-overload.html) (did you really even want that--sorry!) because I need all of the entries I can get! Pick me, pick me! Ooooh, I would love to win this. Thank you for the chance. I'm always in search of cute fabric. I want more fabric. Definitely. I'd load up on those Snorkel prints if I won. I mean, seriously? Fish and octopi? They're destined for some summer clothes for baby. Wow - what a great giveaway! Just hoping you're posting outside the US as I'm in Australia!! I'm a follower since discovering you through "So You Think You Can Craft". And if I won I'd have to get myself some more "Blush" by Basic Grey - I have a jelly roll but might need a layer cake to make a fabulous quilt!! Darling fabric! I definitely would not mind putting it to good use! I could spend the $25 in 25 seconds. I would have to get some little fishies from the snorkel line. Ridiculously cute. Hi there! Love the fabric, especially wildflower collection- those colours look so good together! I'd be a super happy winner! I'd spend my $25 on some Wee Play by American Jane from the website. Would be soooo great to win! I am already a follower and enjoy it. I love the Veranda by Ro Gregg for Northcott. Gorgeous! I would probably buy a blush layer cake. This looks so fresh and cute! Rural Jardin is gorgeous! Want want want pls! I think I'd buy some Wild Thyme or South Hampton (that large flower aqua you featured is beautiful). I facebooked about your giveaway! 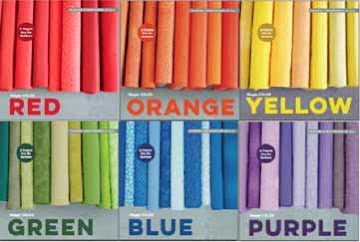 I would love to win these fabrics, thanks! I think I'd choose the Make life Honey Bun. Thanks! toss me in to win! and I just became a follower, too! yay! Your new couch looks great! I love when you post pics of your house and decor because I love to see how it evolves over time. I love it and wish I could move in! Or, just have you come and help me decorate! I'm so excited about this giveaway too, I just checked out her sale section and there is a lot I want over there! There is a lot on her site I like! Just in the sale section, I like that Verandah fabric, and I really like some of the Tradition and Mark Twain- I've been collecting Civil War fabric to do a quilt someday. I also think the flowers for Emma is adorable for a little girl. Have a good day! Giveaways are so fun! I'd love to win! I can't pass up fabric! Thanks! I've had my eye on the Snorkel and Wild Thyme fabrics for awhile, so I'd probably get a few cuts of those. Thanks! If I won 25 dollars I'd buy: Bliss - Light Pink Tonal (#23074-1) As a backing for a baby quilt I'm making! I want those so so so bad!!! pick me!!! i am so a follower!! I always love reading your sarcasm, wittiness and most of all your truthfulness. Thanks for the great giveaway. i'd take the make life honey bun (baby boy on the way!) and some flower pin rose yardage. oh yum! i would buy something from "love u"
I would buy the American Jane Pindot fat quarter bundle. So excited about all the giveaways hoping to win some yummy fabric! I'm already a follower who hopes everday to see something in her google reader from you! I think you sold me on the Wild Thyme. The whole collection is beautiful. I have to get some of that for sure. Oooh...I love it! I have my fingers crossed! 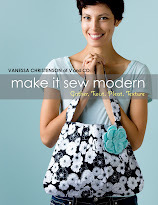 And I'm in the need for some Make Life (yardage, if it gets in any time soon), so that's what I'd spend my $25 on. I always need more material. I can think of a million things to do with this fabric! There is just too many I would want - South Hampton Large Flower Aqua or the Blush Cherish Essence. Decisions. OOOOH I love me some frenchy fabric! I'm a follower...never miss a post! Oh, and I'm a follower...forgot to add that. i would spend money on anything precut, because i'm terrible at it, and some kind of guide or kit. I'm here and lovin' that fabric! I love the Wild Thyme collection and the Wildflower collection so I'd buy some yardage from one of those. I would spend my free money on either Wildflower fabric or that cute snorkel fabric collection! I'd like a chance! And now I'm going to go look at their precuts!!! I would love to win the fabric! I would use the money to feed my Fig Tree addiction--although it would take me a long (but glorious) time to decide exactly what I wanted to get! I AM a follower. I love your blog! with that $25 gift cert, I'd buy the Whimsy Jelly Roll ! Yum! I would buy Spring Fling if I won the GC. So cute!!! I would totally get a jelly roll. And probably the rural jardin one too since its totally my style! And I follow! At least I think I am. I am trying to find where I see you followers to make sure and I can't find it! I want to win these. Count me in please! I'd love to win those! Thanks for the giveaway! I would definitely be picking out some Zippity Doo Dah charm packs. I love that line and it is almost gone! Yo, girl, I just signed up as a follower! Woot! I am building my cotton solids stash, so if I do win, I will be getting some Moda Bella Solids! Awesome prize - that fabric is adorable! Great prizes!!! Thank you for the chance! What I REALLY wanted was the scruffily quilt kit, but it was sold out!! So I guess I would get the harmony jelly roll. Thanks! Hmmmm, I would buy either more fabrics from the Rural Jardin so that I could make a quilt with the jelly cake, or I would buy some cuts from the Basically Kaye collection (for obvious reasons). Oh, and they also have the new Whimsy collection from Fig Tree, and since I love Fig Tree this is also a consideration. I think I could spend A LOT of time on their site figuring out what to buy! Whata great online store! So much selection. I think I'd order from the Blanc et Noir "Fashion" by Marie Osmond. Thanks! Oooh. I want that. Really want it. i want those. I have never won a giveaway so maybe this is my chance. big fan. seriously. big fan. and if I HAD to pick....something from either snorkels or wild thyme. I know that really narrows it down right? Count me in! I'd love to win those and feed my fabric addiction! LOVE your blog. Still giggling when I remember the bumble bee costume story .... Thanks! I would love it win that & I'm already a follower in google reader!! I am also a follower! I love seeing your posts in my list! Love me some etsy! Blush is what I am coveting now! I totally want to win!! I love Rural Jardin... thanks for the chance to win some. wow, what a great store! love it. I follow you... have since I first started blogging. I LOVE the wildflowers collection, especially in that color! I would use the $25 to purchase it because I would love to make a baby blanket for a little girl! Yes, I want more fabric, gotta have more fabric!!! thanks!! I'd buy some Snorkel with the gift certificate. Or some Wild Thyme. I'm drooling over the collections this spring! i really like snorkel. i would probably get some of that fabric! This would be for my mother in law (so she could make something for me). I would love to win the Quilt Shoppe giveaway. I'd love to use the gift certificate toward a layer cake, either Blush or Mill House. I have a quilt pattern that I bought and I really need to use it! After I make that quilt, I want to make your eat,sleep,repeat quilt because that thing was so cute I almost died. Me too!! I'd Love to win!! As for what I'd buy, it's a tie between something from the Make Life collection or the Oh Boy collection. Love your blog...very creative stufff! Thanks for the chance at the great fabric! Fabulous giveaway! I'm a follower, and if I won, I'd put that GC towards some Blush - Cherish in Essence, Little Palm Paisleys - Large Floral Green, and some Wild Thyme - Thyme Flowers (love all the colors). Oh, the things I could do with all that yummy looking fabric! I am a follower of your blog and have been for quite some time. Thanks again for the giveaway. If I were to win the gift certificate, I think I would pick up prints for baby quilts. Seems like everyone we know has just had a baby, and my supply of baby quilts is all but gone. Time to make more baby quilts!